Raise conversion by adding a link to your Instagram Stories! The word is out: Instagram just hit the 700 million users mark. It's projected that the platform could have a billion users by the end of this year! If you've kept up with our resources on Instagram for nonprofits, you know that it's important to get in there and start using Instagram to promote your organization's good work. With the app's growing popularity, there are new tweaks and additions happening all the time - and we wanted to highlight a big one! We talked about the concept of "Stories" in our blog post about Snapchat for nonprofits - within the app, they're little collections of picture snaps that your audience can watch. 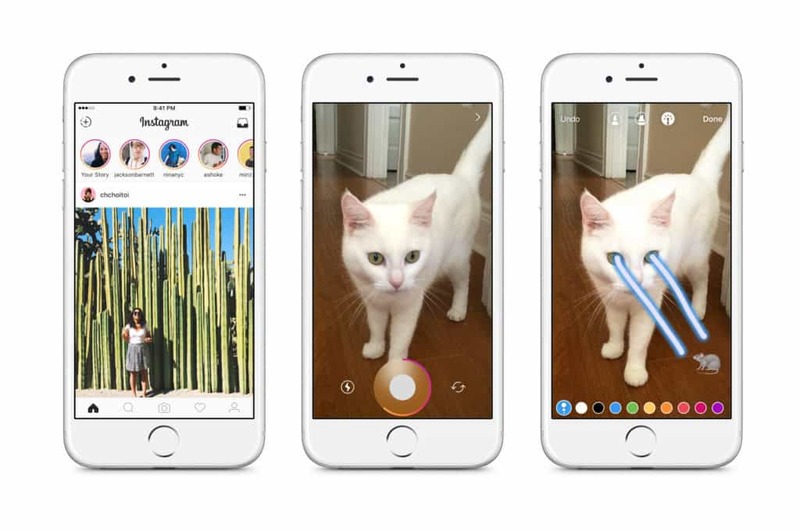 Instagram has taken Snapchat's concept and made it one of its most popular features, and undoubtedly a huge reason why Instagram might just hit that billion user mark in 2017. Here's something extra they've added: You can add a link into your Instagram Story! According to their official website, when you add a link, the words "See More" will appear at the bottom of your screen during your Story, and then people can tap it to view the link right in the Instagram app. This is a game changer for nonprofits looking to push viewers towards a donation page with a handy call to action, especially combined with good storytelling. There's one catch, though: You need to be a verified account on Instagram in order to add links to your Stories. Check out Instagram's post about verified badges on their platform. Look who we spotted on the #TODAYplaza this morning! Some of our terrific @RedCrossNY volunteers came out to celebrate Giving Day. If you'd like to learn more about how you can #help1family, please click on the link in our bio. And in honor of #NationalVolunteerWeek, we'd also like to give a big virtual (((hug))) to all of our #RedCross #volunteers across the country and around the world. Is your nonprofit active on Instagram? Tweet us and show us your profile!